The Hungarian state’s behaviour with respect to aiding and abetting a fugitive would have been what one would expect from a criminal entity. Hungary managed Mr. Gruevski’s illegal passage across international borders. Mr. Gruevski arrived in Tirana, Albania, on or around November 10th, at which point he contacted the Hungarian embassy. This is where he also submitted his application for amnesty. From here, the disgraced politician travelled by car through Montenegro and Serbia, crossing into Hungary on November 12th. According to Deutsche Welle, diplomats and staff from the Hungarian embassies in Albania and Montenegro personally transported the fugitive in their embassy vehicles through the Balkans, en route to Hungary. Four Hungarian diplomats were named who reportedly aided Mr. Gruevski in escaping and traveled with the fugitive. These include Consul Antal Kulcsár and Csaba Várfalvai (Tirana) and Deputy Head of Mission Zoltán Császár and Consul Csaba Félegyházi from the Hungarian mission in Podgorica. The deputy head of mission is second in line at an embassy, directly following the ambassador. European Union officials would do well to consider the ramifications of some of the highest ranking civil servants of an EU member state directly engaging in behaviour that is becoming of a rogue state. Mr. Gruevszki is a personal ally of Viktor Orbán. The Hungarian prime minister campaigned for him and the Macedonian leader, like his Hungarian counterpart, launched a “Stop Soros” campaign aimed at attacking NGOs in his country. 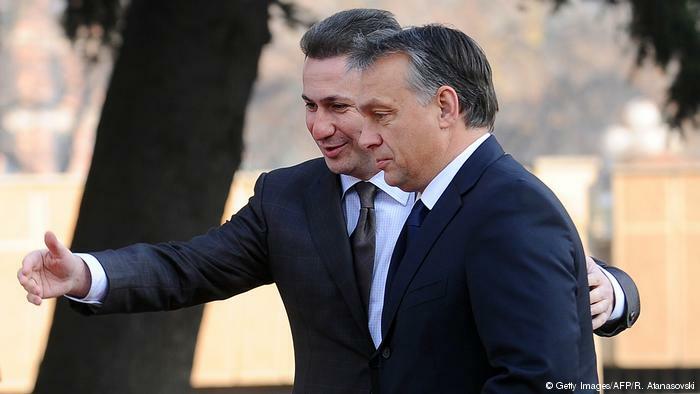 It is also conceivable that by his involvement with the Gruevski affair, Prime Minister Orbán is flexing his political muscle in southeastern Europe in a manner that is most appealing to Moscow. Macedonia has since summoned the Hungarian ambassador in Skopje and has handed him the Macedonian government’s letter of protest. Moreover, Skopje is demanding Mr. Gruevski’s extradition from Hungary, but they undoubtedly realize that there is little to no chance that this will occur. 1) Article starts from the assumption that there is indeed no political motivation behind sentencing of former PM in Macedonia. I am not 100% up to date on details, but it seems it is over government’s purchase of an armored Mercedes, for government use. Not sure there is any evidence former PM personally benefited from that purchase, therefore not sure what crime was committed. I am not sure how this turns Hungary into a “criminal state”. Any country has the right to offer asylum to anyone they consider to be persecuted. 2) In regards to those poor NGOs that Hungary and Macedonia’s former government “persecuted”, by not allowing them to do what they wanted, and speaking of criminal states, we are now more than a week after a video surfaced where the CEO of Advocates Abroad was filmed admitting to coaching as many as 15,000 migrants into committing illegal, fraudulent acts. I am yet to hear about any of the more than 300 staff members active in Greece being arrested. MSM silence, as well as that of the EU authorities continues to be deafening. So come again in regards to criminal states? When such evidence is brought into public (very limited public, due to an astonishingly well coordinated act of media suppression, across what we consider ideological divides and national borders), generally investigations tend to be the norm in any country where rule of law exists. Given NGO’s US roots, US government should be investigating. Given the at least dozen countries in the EU who most likely received such migrants who were coached by this NGO to lie, they ought to all be investigating. No word of Greece investigating much either. Simply no word on any of it! Yet, it is Hungary that is a “criminal state”, because it offered asylum to a politician who was convicted for an act, which if we are to be honest here, we would have to arrest most politicians for. How about the famous $1 million toilet in Canada? Not quite an armored Mercedes is it? You guys with your articles/titles are the winner, you are beating the KGB /GPU /nazi-propaganda methods. Where did you learn it ? Well Joe, Hungary’s concern of the Macedon justice system is another cup of tea. In case Hungary had a popularly annected Constitution, the question could be if the PM had an executive preveladge to issue assylums on his own without the approval of the Parlament? As of politicians, beurocrats and most lawyers have been at the far end of the line when ethics and morality was handed out. In Hungary, the deputy parliamentary president rehabilitated an anti-Semitic robber who was active around 100 years ago. Anti-Semitism, however, never wants to be accused by the Hungarian government. The Orbàn/Simicska gang started their criminal activities much earlier, on a larger scale in 1999, but the real tsunami stared after they seized the Hun state after the 2010 elections. 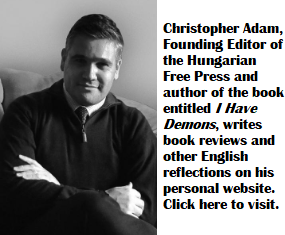 Countless examples can be found in the press, in Jòzsef Debreceni book The Fidesz robber economy, Bàlint Magyar’s Post communist mafia state, the Tavares and Sargentini reports, dozens of Hungarian Spectrum posts, the official wealth figures re. L.Mèszàros, etc. etc. The damaged souls here and in Hu (forget the paid trolls and the corruption beneficiaries) are claiming that the Earth is flat contrary to all evidence. Now the only question remain, will this Macedon ex-PM appeal his case to the EU court, or will Macedonia request the Interpol to have him return to Macedonia? Hungary will be just watching it all play out. Also, it’s not like he has bowled up to Orban’s fence on the Serbian border and claimed asylum like most of the poor souls escaping real persecution have to do. Hungarian officials have basically given him a door to door lift service for no charge. Nothing should surprise us of this regime any more. You mentioned in your comment the word “evidence”. I just can not repeating my request to present at least some facts that could even lead ro some “evidence:. has never even requested you, or your readers to provide any evidence. Just some reasonable information that could possibly lead to “evidence”. Awaiting that info eagerly !!!!! Please do not delay !!!! All have a peaceful and happy Thanksgiving day ! Syrian so-called “refugee” and threat to the EU creeps in through the back door…. Why is that big fence Viktor built not doing its job??? Bocsásson meg ezek miatt is A mi kis hazánkat átkozzák ? ?vagy Orbánt? Magyar ország a hibás azért hogy az únió oda küldi a kéretlen vendégeit?Miért nem segiti ugyanazokat a saját hazájukba,hogy jobban éljenek? ?Van erre magyarázata? ?Ezeknek az embereknek 90%-a nem refugié! !A 10%-refügie miatt árasztják el az egész európát?Mi jogon?? Tudja nekem van egy házam ,a házamba befogadok minden vendéget akit én magam akarok !Mit irdogatna kérem akkor ha itt ahol én élek minden hivatlan emberrel elárasztanánk az ön tisztelt lakását hivatlanul? ?Sőtt megmondanák önnek, hogy ott ön semmi jogot nem élvezhet mivel mi már ott vagyunk az ön lakásában.RÖHELY ! !azt sem tudják már hogy mi a normális gondolkodás ! !IRNAK ÉS IRNAK AZT SEM TUDJÁK HOGY MIT! “”L’étranger a été filmé et avoue avoir entraîné jusqu’à 15 000 migrants dans des actes illégaux et frauduleux.””Ön irja! !Viktor Orbán a transformé la Hongrie en un État criminel??? ?Miért ?Mert a barátja? E miatt megakarta védeni ?Aki a barátaim közé tartozik én mindenkit megvédek ha bajba kerül! Teljesen igaza van Marikának ! A “liberálisok” -valójában egyáltalán nem liberálisok, hanem a legfasisztább, legsötétebb diktátori hajlammal megáldott szadista, embergyűlölő , önmagukat a többi faj fölé emelő, önkiválasztott ‘forradalmár élcsapat’, akik saját -minoritásban levő- perverziójukat az egész társadalomra önkényesen rá akarják kényszeríteni . Sajnos a magyar történelemben előbb a Habsburg-ház, majd Jászti Oszkár és förtelmes bandája bejövetelével volt részünk kiismerni az ‘ars-poeticájukat’ !